The future of design and collaboration is also changing. Increases in computer capabilities and miniaturisation of devices change the way designers and specifiers make decisions. By Asha Devasia, Global Channel Management And Digital Transformation Lead at Schneider Electric. AIRLINE travel took 68 years to reach 50 million users where the Internet achieved that in just seven. In the same way, we have seen the speed of technology adoption accelerate across multiple industries. Between 2007 and 2017, the world’s largest companies have shifted. The future of design and collaboration is also changing. Increases in computer capabilities and miniaturisation of devices change the way designers and specifiers make decisions. 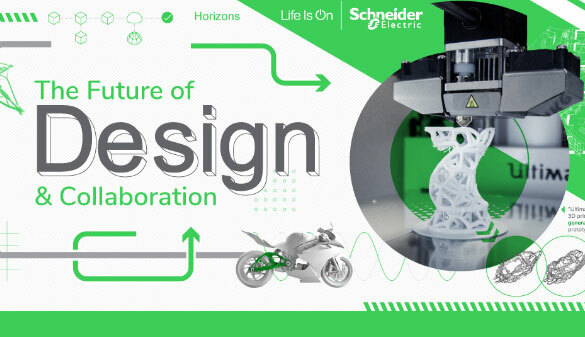 Whether it’s going beyond computers as a tool (CAD), using Augmented Reality (AR)/ Virtual Reality (VR), 3D and 4D printing, or collaborating via the cloud to share insights, new technologies are redefining the future of design & collaboration. (See infographic below). WANT MORE INSIDER NEWS? SUBSCRIBE TO IAA NOW! Considering Transition to Industrial IoT Networks? Established since 2001, Industrial Automation Asia (IAA) has emerged as the frontrunner in it’s industry. Our many achievements include being the first BPA audited automation publication in the region. Backed by a dedicated team of experienced professionals, IAA is committed to providing quality content for our readership of 33,000 registered professionals per issue, for both print and online.